It is difficult to explain the history of interior design. Where did design begin? With hieroglyphics in early caves? Or with the Egyptians and their extravagantly furnished tombs? Interior design's rich history can be found with the cave dwellers, the Egyptians, the Romans and even the Native Americans. However, there are certain events in the history of interior design that define the evolution of interior décor. The Italian Renaissance was once such key moment. The arts movement surged during this time period and wealthy people began to decorate their rooms based on function and style. The style was elaborate and gilded, similar to what can be found in Versailles. The Industrial Revolution was another key period in the history of design. This period helped democratize design. Due to mass production, decorative items became more available to the middle class and interior design was no longer just a hobby and privilege for the wealthy. 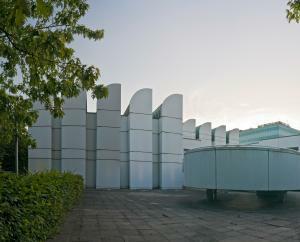 The Bauhaus school, which operated in Germany from 1913 to 1933, played a major role in the history of design. The Bauhaus movement combined crafts and fine arts. The students of the school were taught that form follows function. Much of what we see in modern design today is a reflection of the work done at the Bauhaus. Many famous artists studied at the Bauhaus include Paul Klee, Walter Kandinsky, Piet Mondrian and Oskar Schlemmer. Ludwig Mies van der Rohe was one of the school's directors. The explosion of reality television shows along with the proliferation of cable television channels, have played a major role in the history of interiors. Shows like Decorating on a Dime, Trading Spaces, and even Queer Eye for the Straight Guy have demystified interior decorating for the masses. The current environmental movement is currently influencing and altering the world of interior design. As people become more environmentally sensitive, they are choosing new materials for their interiors. For example, linoleum, made of all natural materials, has made a comeback and bamboo is increasing in popularity. Bamboo is used on floors and walls and as window treatments, furniture and decorative items. Designers are considering the entire lifecycle of each product they use from the way it is harvested and manufactured, to the way it is used, and finally the way it will be disposed. Just as there were key periods that influenced the history of design, there were also key people. This is a small list. There were many others who played a significant role. Scottish artist, Charles Rennie Mackintosh, is known as the father of the Modernist movement. He is credited with inspiring Art Nouveau in the United Kingdom during the early 1900s. Maclintosh's work had Asian, industrial and craft influences. Although Frank Lloyd Wright is considered an architect first, he had a tremendous influence on interiors. Wright managed every detail of the homes he created including the fixtures, furniture, carpets, windows, and light fixtures. Best known for his Prairie style, Wright was also an avid collector and dealer of Japanese art . Sister Parish is perhaps best known for decorating the Kennedy White House in the 1960s. Parish was a New York society decorator with a strong sense of color and style. Parish's signature look incorporated overstuffed chairs and sofas and liberal use of chintz and brocades. She also favored colored walls, four-poster beds, and patchwork quilts. Charles-Édouard Jeanneret-Gris was known as Le Corbusier. He was a French architect and interior designer credited with spurring the International Style. Le Corbusier was also a sculptor, painter, urban planner and furniture designer. Interior design has been influenced by numerous people, movements, and historical events. It is an art that is constantly changing to reflect the current social, economic and political climates.